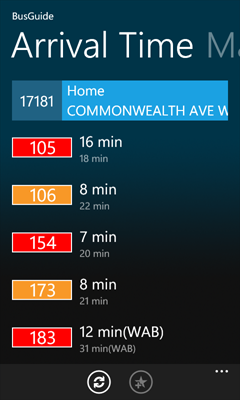 Ever wonder when the next bus is coming, and what route the bus takes? 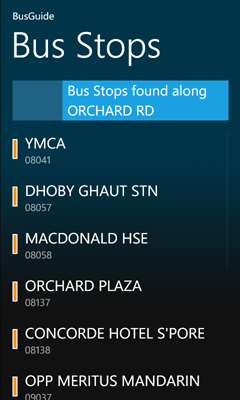 How about which bus stops are currently nearby or along a particular road? 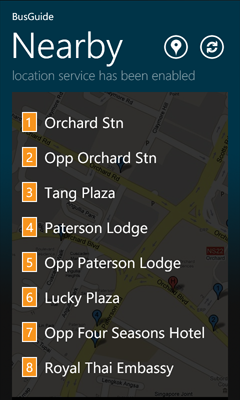 With BusGuide, these information are now at your finger tips. 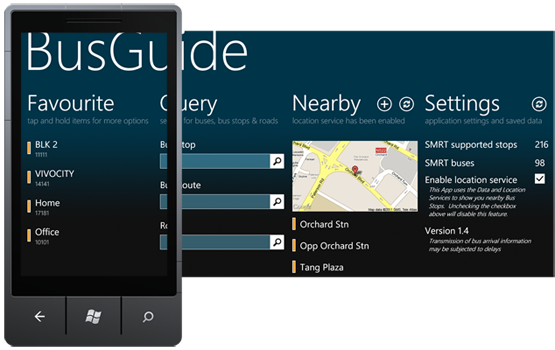 Ported from the previous Windows Mobile 6.5 version, BusGuide lets you get the bus arrival timing of SBS and SMRT busses at different bus stops around Singapore. 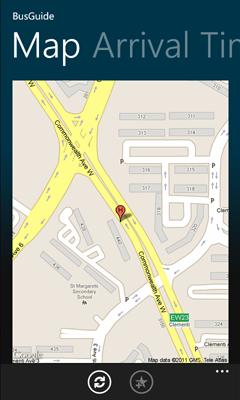 Search for nearby bus stops or those along any road and view when the next bus is coming. 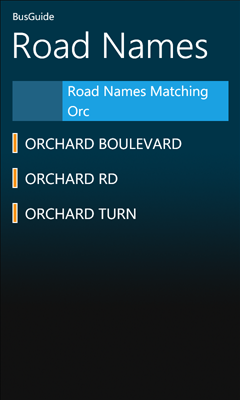 You can even add a bus stop to your favourite list for quick retrieval the next time. 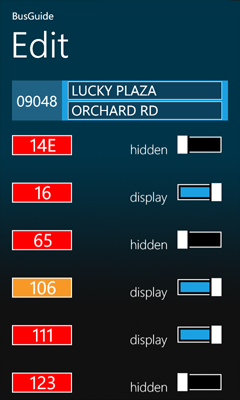 Lookup the bus number to get the bus route information so you know exactly where to stop. 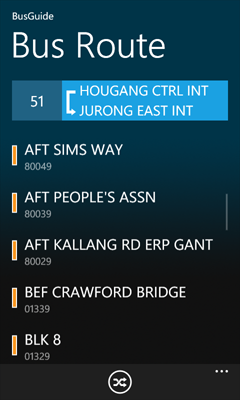 All these in an easy and intuitive UI designed specially for you mobile phone.